Today’s Google event brought to reality a number of devices that we’d been hearing rumors about, including the Nexus 6P, Nexus 5X and the next-gen Chromecast. 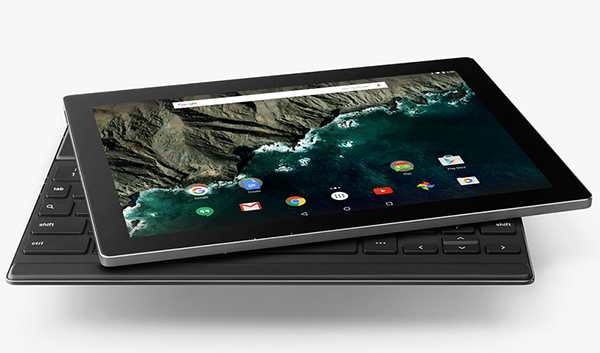 However, amidst the hub hub around the new devices came an unexpected surprise – the Pixel C Android tablet. It would be unfair to say that it’s a new or unanticipated device, because it isn’t, but we certainly weren’t expecting to catch a glimpse of the Pixel C tablet today. However, Google announced it, and it’s distinctly different from its earlier siblings, in that it runs Android (earlier Pixel tablets were Chromebooks running Chrome OS, so this one is a certain deviation). First of all, this tablet is all Google – no OEM partner like Nexus devices; the Mountain View company is responsible for Pixel through and through. The tablet features a 10.2-inch display that is super bright – 500 nits bright, to be exact – and comes in at a fairly reasonable 308 ppi density with a resolution of 2,560 x 1,800. It is powered by Android 6.0 Marshmallow. On the innards, the device is powered by a monstrous NVIDIA Tegra X1 quad-core processor coupled with 3GB of RAM. The tablet will come in 32GB and 64GB variants of onboard storage. Other than these, considering that it’s powered by Android, you’ll naturally consume media on this super bright screen. Hence, you get an array of four microphones for reducing stereo crosstalk, and stereo speakers onboard. Pixel C will also be one of those rare tablets that will feature a USB Type C connector. Pixel C is Google’s attempt at competing with Apple’s newly-announced iPad Pro and Microsoft’s long-established Surface lineup. Hence, it wouldn’t make sense if Pixel wasn’t able to convert into a makeshift laptop. 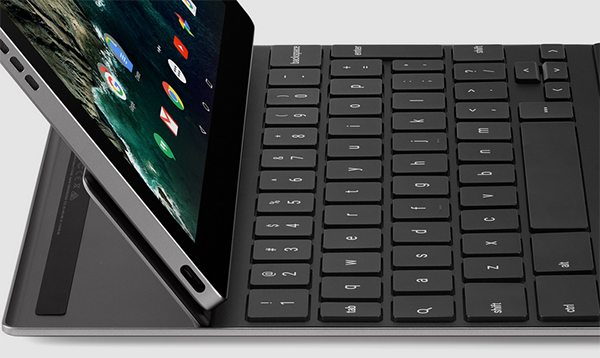 Enter – Pixel C’s dedicated Bluetooth keyboard attachment, which essentially converts the device into a laptop by letting you adjust the screen from at angles between 100 – 135 degrees, while adding physical keys to it. The keyboard connects via Bluetooth, boasts a battery life of about two months, and charges inductively via the tablet when not in use. Pixel will retail for $499 for the 32GB version, and an extra $100 for the 64GB model. 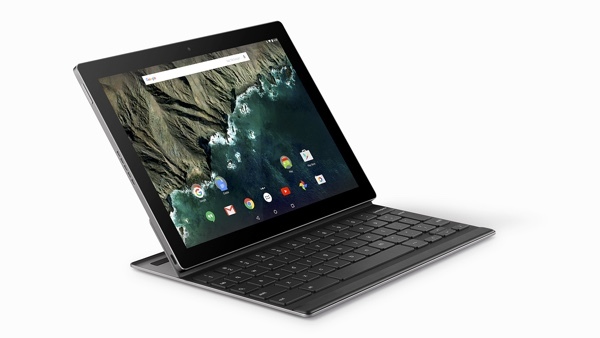 The keyboard will retail for $149 and will be sold separately from the tablet, Google says. The device will become available during holiday season this year, so expect it around late November. You missed ” and Microsoft’s long-established Surface lineup” . I don’t think this is Anti Android, they’re just stating the obvious all of these companies manufacture products that rival one another in certain categories and right now the Surface is the most popular and the iPad Pro is highly anticipated. Pretty cool but I really wish they would tweak the OS around a little to give it a little laptop-like experience like how the Remix does. Do you really think people in Google, Apple, Microsoft, Samsung, etc don’t know what other companies are doing? REALLY? No pencil, a generic Bluetooth keyboard, only 2 speakers, nah nah honey I’m good. Why would you need to argue that if the article isn’t arguing that it is? 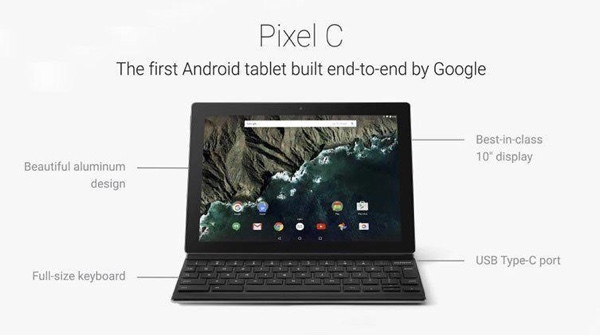 They included both because the Pixel C will join the lineup of Pro Tablets.